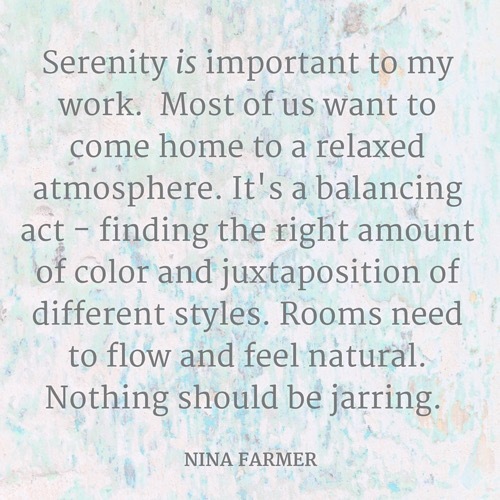 I love Nina Farmer’s gorgeous work, and I couldn’t agree with her theory more. My mission is to create beautiful backgrounds for harmonious lives, full of style and grace. Who wouldn’t want that?